Part of the role of a caregiver is making sure that seniors are getting the medications that they need to stay healthy. 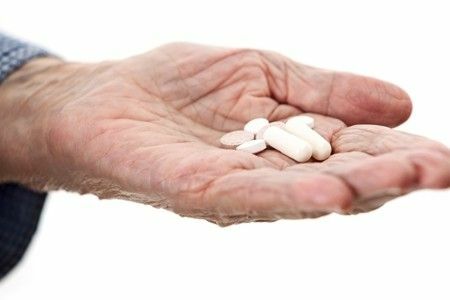 It’s not uncommon for dementia and Alzheimer’s patients to take a variety of prescriptions for their conditions on top of the common drugs that are used for other senior-related illnesses, such as osteoporosis or high blood pressure. Yet, despite the importance of this daily ritual, the only advice you will likely get from the label is to administer these pills once a day. However, according to AARP, the time of day that your patients take their medications can have a major effect on health and well-being. Whether we are aware of it or not, each of us has an internal clock that is connected to the cycle of the rising and setting sun. Several organs, tissues and cells within the body function in a direct response to different 24-hour periods. Not only does the time of day your parent takes medications vital for maximizing their true effectiveness, but it can also help her avoid potentially dangerous drug reactions. Everything from body temperature, hormone secretion, immune system function, digestion and levels of fatigue are greatly influenced by the time of day. It’s also important to note that the specific type of drug your parent is taking can also become more potent based on our biological clocks. This is why it is very important that you meet with your doctor to discuss what medications your mom is taking, including herbal supplements and vitamins or if she is following a restricted diet for another condition, such as low-sodium or low-sugar, according to the Cleveland Clinic. There are a variety of medications your parent may be taking to manage different health issues as he or she ages. But have you given any thought to what time of day your loved one takes his or her prescriptions? Depending on the condition and medication an individual is taking, medication time is important. Some of the most common drugs for osteoporosis include bisphosphonates, which work to reduce the risk of bone loss. The only problem is that these drugs do not dissolve or absorb into the bloodstream as well as other drugs, especially when mixed with oils and fats. This is why medical professionals advise taking bisphosphonates on an empty stomach with water in the morning before breakfast. The best medication time is at least an hour before eating so that the medication can be fully absorbed. According to the Centers for Disease Control and Prevention, around 1 in 3 adults in the U.S. struggles with high blood pressure. This means that it’s likely your loved one will be prescribed a medication for the condition – especially since the chances for heart disease and stroke increase as we age. For hypertension, taking a medication at night is highly advised, according to several leading experts. A five-year Spanish study conducted at the University of Vigo allowed researchers to look at more than 2,100 men and women with high blood pressure, and those who took their medications at night had a 33 percent lower risk of angina, stroke and heart attack when compared to those who took their drugs when they woke up. If you are thinking about changing your loved one’s hypertension medication regimen, be sure to speak with your doctor first to see if there are any outlying cardiovascular risks. In the past decade, doctors have largely switched their recommendation for taking medications for high cholesterol in the morning to right before bed. This is because these medications are linked with fewer heart attacks, higher levels of “good” cholesterol and improved arterial blood flow. As Dr. B. Greg Brown pointed out to ABC News, the liver works its hardest at night, so taking medications before bed lowers cholesterol levels as the blood circulates through the body. Keeping your parent safe and healthy with his or her prescriptions is one of the most crucial aspects of your role as a caregiver. Although there are several medications that might be more appropriate to take during certain times of day, we recommend that you check with your parent’s doctor and pharmacist before making changes to his or her treatment plans. They should be happy to assist you in providing the most effective and safe care possible, offering the best medication time for each prescription. Aegis Living’s care professionals can also discuss the best medication times for your mom depending on her health history, types of medications and diet.